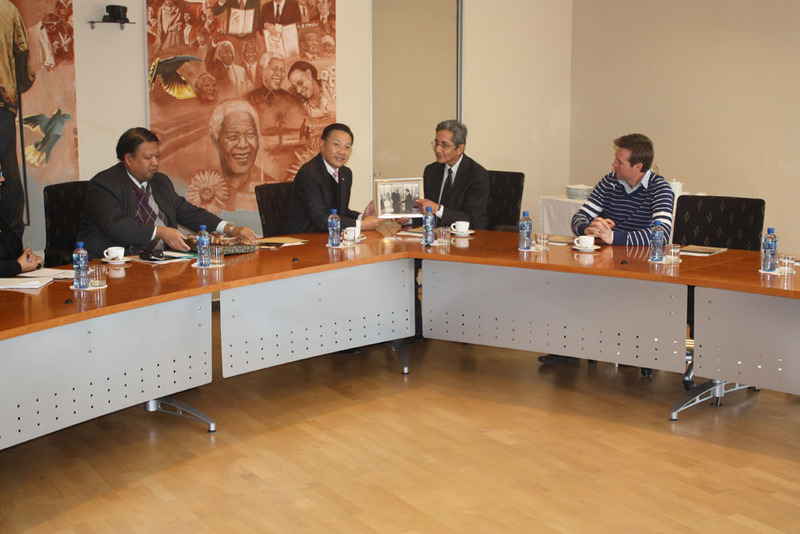 Today His Excellency Mr Tharit Charungvat, Ambassador of Thailand to South Africa visited the Nelson Mandela Foundation to hand over a donation in support of the work of the Nelson Mandela Centre of Memory. 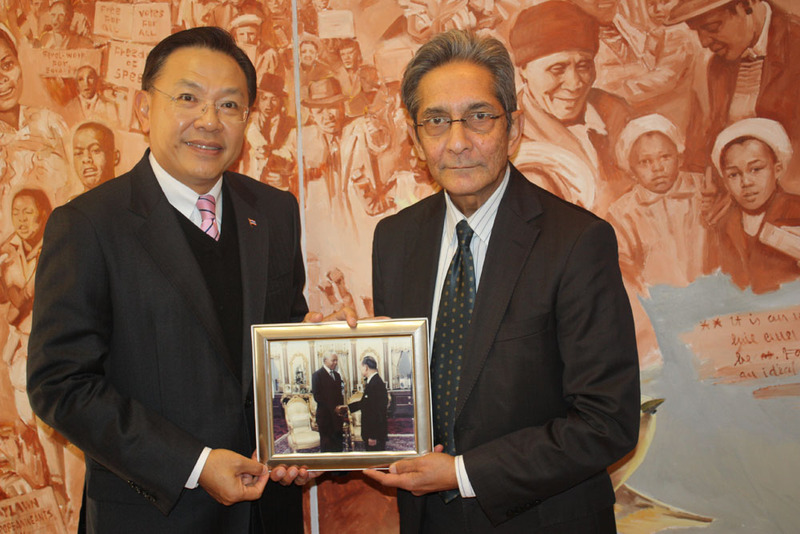 In handing over the donation, the Ambassador also brought a photograph of the time of Mr Mandela’s visit to His Majesty, the King of Thailand. This photograph will now become part of the photo repository held by the Centre. 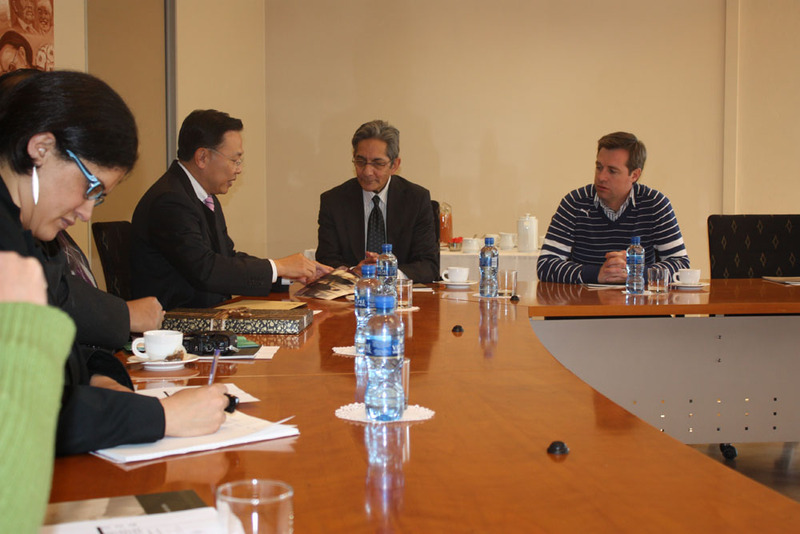 In handing over the photograph, the ambassador said that the people of Thailand still remembered Mr Mandela’s visits to the country, the first of which was in July 1997, and the second seven years later during the International AIDS Conference. 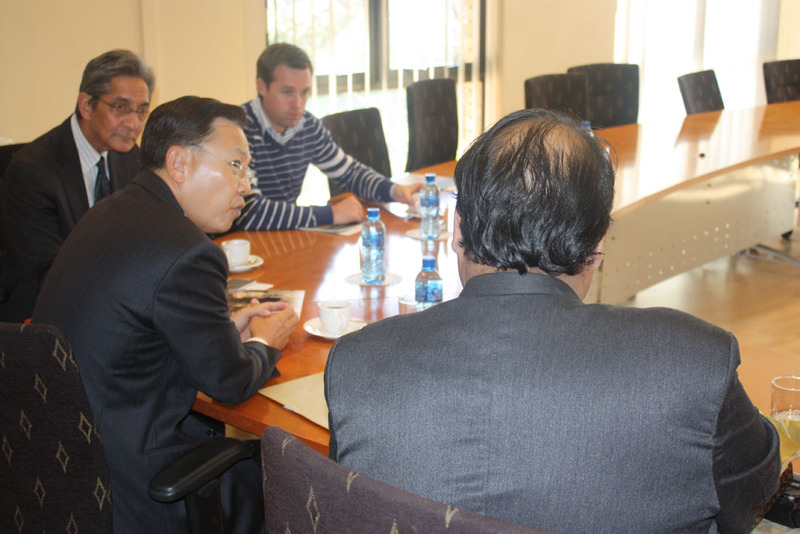 Mr Achmat Dangor in turn thanked the Ambassador on behalf of the NMF’s Founder and Board. He emphasised that the donation was most appreciated and would be put towards the important work of the Centre of Memory. In closing, the Ambassador wished the Foundation every success in preserving and furthering Mr Mandela’s ideals and legacy. If you would also like to contribute to the Centre of Memory, please click here.